When I started working on the new Woork Up I spent some days thinking about how the layout of the new interface of this blog should have been. 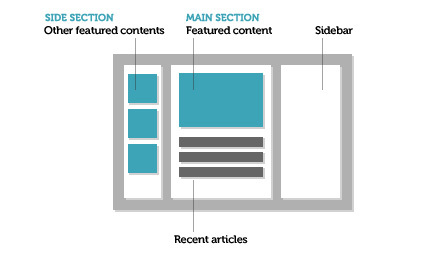 Before even getting my hands into the CSS code I identified five guidelines for the new layout, the same I want share with you in this post. 1: Rethinking the home page as a set of focused information readily available at a glance and not as a long vertical list of posts organized by date. For the home page of Woork Up I wanted to create something different from the typical blog layout we’re used to see. 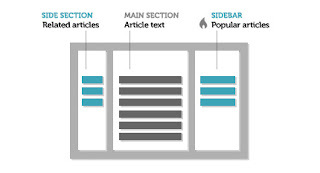 The result is a “compact” home page with a main section which contains the current featured article and a left column that lists some less recent featured articles. 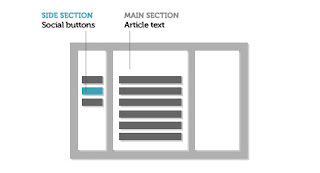 2: Organizing the page elements so that their disposition quickly directs the readers to the contents which must have greater emphasis and visibility. On the post page I added a section on the left of the text which contained a list of articles related to the current post and some recent featured articles. The sidebar contains a “popular posts” section whit a list of the most recent popular post on Woork Up. The main section contains only the text of the article and the comments area. Too much information is equal to none. Do not fill your page with links. 4: Reducing the number of social buttons to share posts on social networks and integrating them harmoniously with the design of the page. Social buttons are useful to make articles popular on social networks and drive more traffic on a website. The only problem is not all social network are appropriate for all websites. In my experience Twitter, Delicious and Facebook are the best sources of traffic for Woork Up. That’s why in the new layout of this blog I decided to add only three social buttons, integrating them with the style of the page. 5: Making advertising elements minimal and deleting every kind of advertising from the body of the articles. Advertisement is fundamental to monetize the contents of websites. But I admit, as a reader, I hate pages full of banners and in general all kind of invasive advertisement on a website. 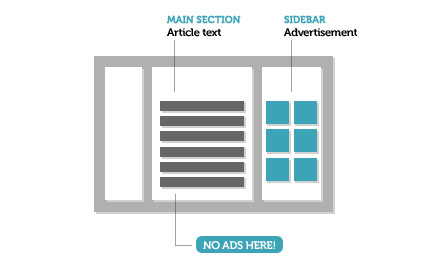 So I decided to limit advertisements only on the sidebar: this position is perfect for your advertisers and your readers will love you!